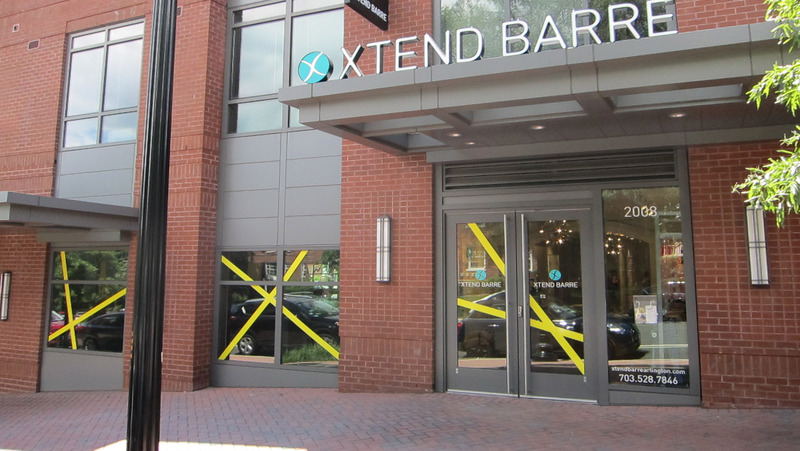 Xtend Barre Arlington is a 2,500-square foot facility featuring two state-of-the-art studio spaces. We offer a full range of programming with over 50 classes per week, including Xtend Suspend, Xtend Stick, Circuit 7, Yoga Flow, Fit Ball, Xtend Barre and Barrecamp. We are located in the Courthouse area of Arlington off Wilson Boulevard, between N. Troy and N. Courthouse, and two blocks from the Courthouse Metro Station. There is ample street parking with additional parking in the 2001 Clarendon garage off N. Troy. We invite you to tour our studio and all its amenities, take a class with one of our talented instructors, and join our Xtend Barre family. Here are just a few notable guidelines to keep you on point. · New clients must fill out a liability form before their first class. · Grippy socks are required for all classes. Feel free to bring your own or buy a pair from us. · Don't be late. If you're more than 10 minutes late we can't let you into class. Late entry into specialty classes is not permitted. · No cell phones permitted inside the studio. · No glass water bottles or open cups allowed inside the studio. · Please inform your instructor if you are pre/post-natal or have any preexisting medical conditions. · Reservations must be cancelled more than 4 hours before class to avoid being charged a late fee. · Reservation cancellations should be done online or by using the Xtend Barre app. Email and phone cancellations are not accepted. Traditional yoga is integrated with Xtend Barre creating an energy fueled class with just the right amount of strength and zen. NO DANCE EXPERIENCE REQUIRED! Just be ready to move, sweat, and have fun! Dance like no one’s watching in this super fun, sweat inducing, calorie burning workout! Lift your heart rate and learn easy-to-follow dance routines in this 60 minute cardio class, that'll leave your whole body sculpted, sweaty and smiling! Open to all Xtenders and friends. Please wear running shoes. Kelly has worked in retail and commercial construction, and when she found Xtend Barre, she had an epiphany. Her professional bent was helping clients find the perfect look or the right space to enhance their personal brand — but what she really cared about was motivating others to be their best selves. That’s Xtend: enhancing lifestyles by building healthier, more energetic bodies. What’s more, the elements of ballet made her feel nostalgic for her childhood dance classes. As an Xtend client, Kelly counted on the fun music and the intensive toning and cardio to help her start every morning on a positive note. Now that she has her own studio, she plans to show other clients how investing in fitness pays off in a major way in all aspects of their lives. She looks forward to meeting you at the barre! Lara is a professional musical theatre performer who has been singing, dancing and acting since the age of 3. Growing up in Pennsylvania, she was an athlete who played multiple sports, but ultimately decided to make performing a career. Lara moved to DC to study musical theatre at the Catholic University of America. Immediately after earning her Bachelor of Music, she spent two years as a principal mainstage performer with The Walt Disney Company on Disney Cruise Line. Since then, she has performed in musicals at multiple regional Equity theatres in the DC area. Lara discovered Xtend Barre through a fellow cast member and Xtend instructor. Lara can’t wait to have fun, bring out everyone’s inner performer and help others discover their full Xtend potential! Arina began exploring the art of dance at the age of four, and has been a professional dancer and choreographer for ten years. After only a few sessions of Xtend Barre, she fell in love with this vigorous workout and decided to share this love with others. She enjoys providing an exciting, well-balanced, and effective Xtend Barre workout using her experience in dance, choreography, and fitness. She looks forward to helping clients find their joy of movement and wellbeing. Caroline holds a 200 hour RYT Certificate from Yoga Alliance. She is passionate about yoga, meditation, and wellness, and she strives to live every day with mindfulness. Her yoga classes emphasize unifying the body and mind through breath work, vinyasa flows, and deep stretches. She hopes that her class helps you feel relaxed and ready to take on your day! 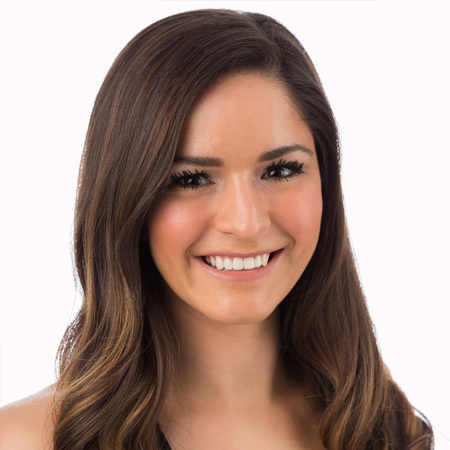 Catherine first discovered Xtend Barre shortly after moving to the District in the Summer of 2013 after graduating with a BA in Dance from DeSales University . She fell in love with the unique combination of Pilates and dance Xtend offers with its accessibility to clients of all fitness backgrounds, challenging and energizing movements, and precise technique. 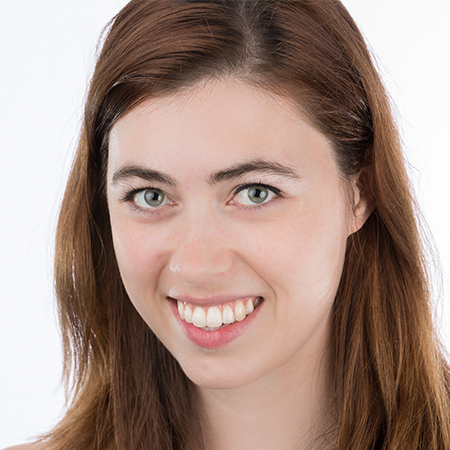 Catherine currently performs with the Baltimore based dance company, The Collective, and enjoys planning events throughout the country during the day. She can’t wait to share her enthusiasm for ballet and meet you at the barre! Dana’s love of song and dance started almost before she could walk and talk. After graduating with a bachelor’s in finance from the College of William & Mary, Dana continued performing professionally with cruise ships and regional theaters, and even toured with the Radio City Christmas Spectacular. She recently relocated to the DC area from NYC and was introduced to Xtend Barre by some of her closest friends, who also happen to be Xtend instructors. She fell in love with the experience and can’t wait to share that love with the XBA community! Emily has been singing and performing for a as long as she can remember! She studied musical theater and dance in college, and found Xtend Barre through her college friends who are also instructors. She always brings a sense of fun and silliness to her classes, while also making you sweat! Hillary grew up in Virginia and began ballet at the age of 4. Throughout her childhood she performed nd continued dancing in college at the University of Virginia. After graduating and moving to DC, she tried several different workouts, none of which she loved, and then saw that a new Xtend Barre studio opened near her office. She took one class and was hooked! She loves how Xtend combines cardio and sculpting while incorporating elements of ballet and can’t wait to share her passion and help her clients achieve the same amazing results. Jackie has been dancing and cheering for more than 16 years. Most recently, Jackie was a member of the NBA Washington Wizard Girls. After three years of dancing with the Wizard Girls, she retired and began looking for a new way to incorporate her love of dance into her life. With Xtend Barre, Jackie found an experience that merged all her favorite aspects of dance with a challenging workout. She can’t wait to share this experience with her clients, and hopes they love being at the barre as much as she does! 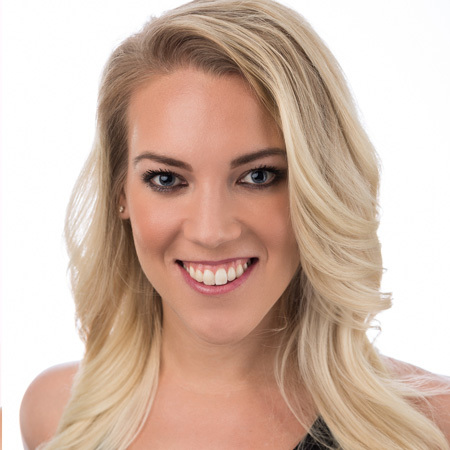 Jennifer is a professional dancer, who has spent over ten years sharing her passion for the arts and fitness teaching nationwide. Professionally she has performed as a Radio City Rockette, sang and danced in three Broadway National Tours, and at numerous regional theatres across the country. Additionally, Jen has appeared and danced on television in “Gossip Girl” and “PBS’s Live from Lincoln Center”. When not on stage, Jen shares her love with students, teaching and judging national dance conventions and competitions. Upon relocating to Arlington with her husband, she discovered Xtend Barre and immediately fell in love! 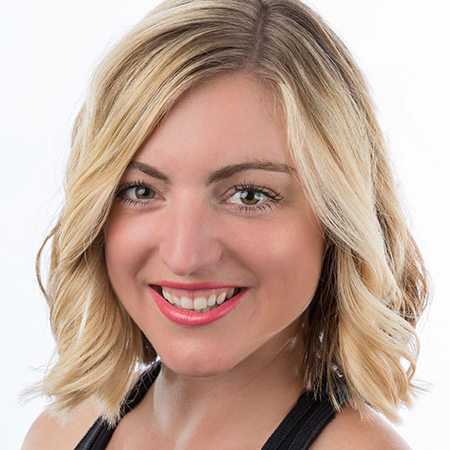 Jen looks forward to sharing her passion for Xtend Barre and experience as a professional dancer with her fellow barre-bies! Lauryn took her first Xtend Barre class in 2014 after her boyfriend had signed her up for membership as her sole birthday present (yes, that really happened). At first she was not happy about the present but it 100% turned out to be the best thing that possibly could have happened to her. Lauryn immediately fell in love with the classes, the instructors and the principals behind Xtend Barre. Just after a few classes, she knew this was the best workout she had tried in the region (and she tried them all) because she could actually see the results. Lauryn had been in ballet from ages 3 to 12 when she hung up the ballet shoes for cleats. A collegiate soccer player, Lauryn finally found a niche to feed her fitness journey and that niche is Xtend Barre. She is excited to have you join her in class to share her enthusiasm and energy for this incredible workout! 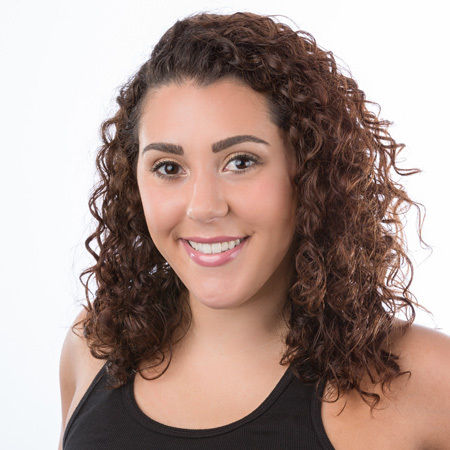 Liz grew up in New Jersey dancing competitively around the Tri-State area. 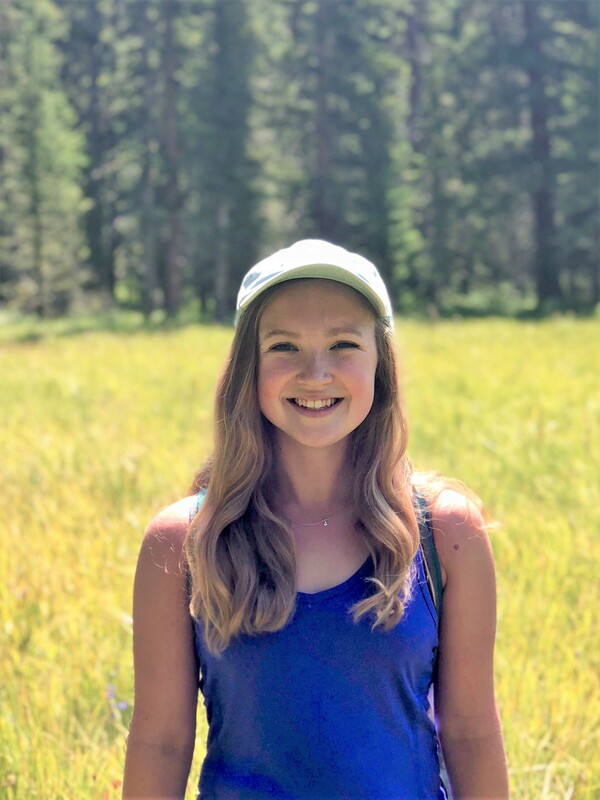 Once she left the Northeast for college in Maryland, she switched gears and started running to get that same killer workout that hours of dance gave her each day. After a few ten-milers and a half marathon, Liz sustained an injury and had to limit her long runs through DC. In July of 2016, Liz popped into Xtend Barre and was instantly hooked and is now an instructor! Liz’s favorite part about Xtend is that no two classes are alike. She can’t wait to meet you at the Barre! Marti Jo discovered pilates and Xtend Barre in 2011. The safe and always challenging head to toe work out felt perfect to Marti Jo. She became a faithful student of both, and after taking dozens and dozens of classes she pursued instructor certification for pilates mat and Xtend Barre. In 2015 she achieved her goals and has loved taking and teaching Xtend Barre ever since. Marti Jo finds the head to toe work out is a great fit for all fitness levels. She loves challenging her students with Xtend’s blend of ballet and pilates, never forgetting the important cardio bursts! Macey began dancing at the age of three and has since been involved in many other sports and fitness activities. After graduating and moving to the DC area to start her career, she jumped around from various workout studios and gyms trying to find a good fitness routine. Once she took her first Xtend Barre class, her search was over – she was hooked! The nostalgic ballet aspect, with weights and cardio mixed in, was exactly what she was looking for. 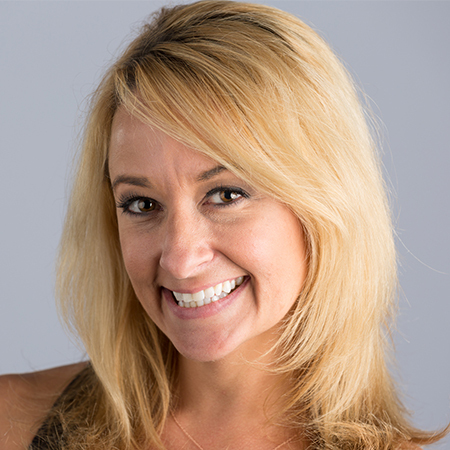 Macey is dedicated to helping her clients improve, sweat, and have fun in each and every class. Maria is a critically acclaimed actor and dancer in the DC area. She has been nominated for two Helen Hayes Awards for Outstanding Lead Actress in a Musical and Outstanding Supporting Actress in a Musical, and was voted Broadway.com’s “Best of DC” in 2013 and 2015. Her love of dance and performance was fostered in the suburbs of Philadelphia, where she lived until moving to DC to train and study. Upon being introduced to Xtend Barre, Maria felt she had finally discovered a challenge that could combine the flow of dance with the strengthening and sculpting of an effective workout. 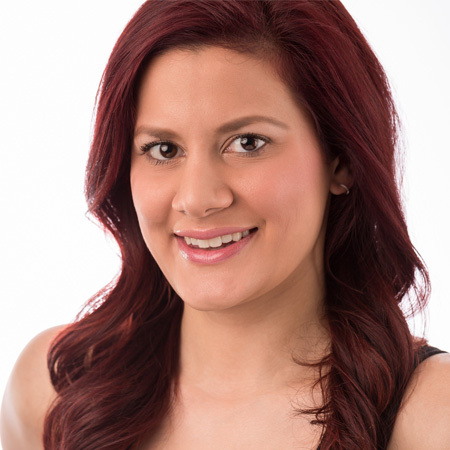 She is committed to making her clients feel as passionate and energized by the Xtend experience as she is! A professional dancer with a 13-year career, Melinda has toured nationally with Radio City’s Christmas Spectacular, CATS, West Side Story, and Contact, in addition to numerous regional credits. 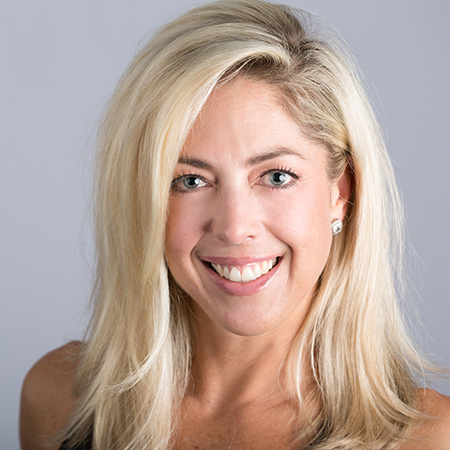 Melinda has taught dance for over sixteen years and has led group fitness classes, as well as, training clients privately for the past eight years, working for several high-profile boutique fitness studios including; Tracy Anderson Studios and The Bari Studio in NYC. Most recently, Melinda was recognized in the Jan 2017 Washingtonian as one of the “Top 8 Trainers To Whip You Into Shape.” She holds numerous certifications with NASM as a Certified Personal Trainer and Corrective Exercise Specialist, Yoga Alliance RYT-200, AFFA, TRX, Xtend Barre, Pilates Basic Mat, as well as, an American Heart Association Heartsaver AED certification. 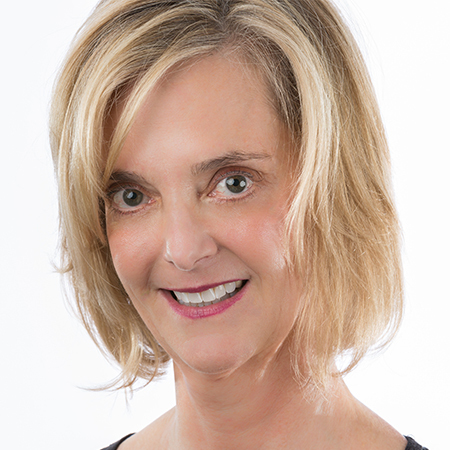 Melinda’s delighted to be a part of the Xtend Barre Arlington family and extremely thrilled to share her passion for dance, fitness, and health with this beautiful community. 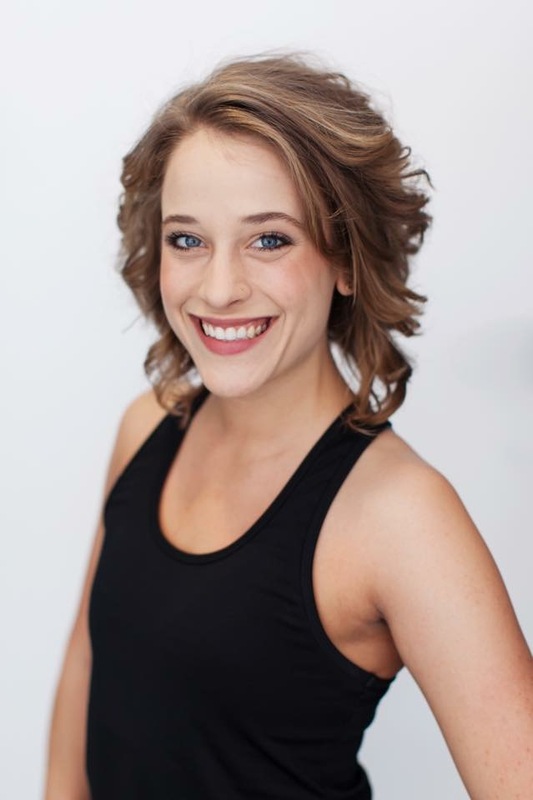 Michaela grew up dancing and studied acrobatics, ballet, jazz, and tap and throughout college. She then danced for 5 seasons with the NBA’s Washington Wizard Girls and was Captain of the 2016-2017 team. She represented The Wizard Girls at the NBA All Star Game in 2014 and 2015 and traveled internationally to Brazil and China for NBA promotional events. Michaela was introduced to Xtend Barre by her teammates and instantly fell in love with the workout. She can’t wait to share her passion for dance and fitness with all of her classes. A former member of the Baltimore Blast Cheerleaders and NBA Washington Wizard girls, Michelle Poling has over 20 years’ experience competing in various styles of dance. Michelle took her first Xtend Barre class in 2012, leaving immediately sore and instantly hooked. Michelle loves that Xtend classes are always unique, combining dance technique and cardio elements to sculpt, strengthen, and lengthen her muscles, while simultaneously keeping her heart rate pumping. 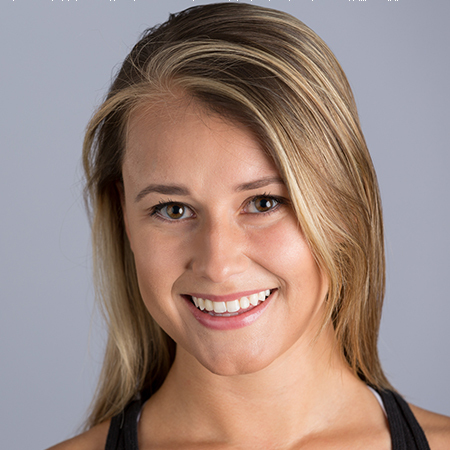 As a Registered Dietitian, she is excited to share her passion for health and fitness as an Xtend Barre instructor, using every minute of her classes to challenge clients to achieve their goals and Xtend beyond their limits. 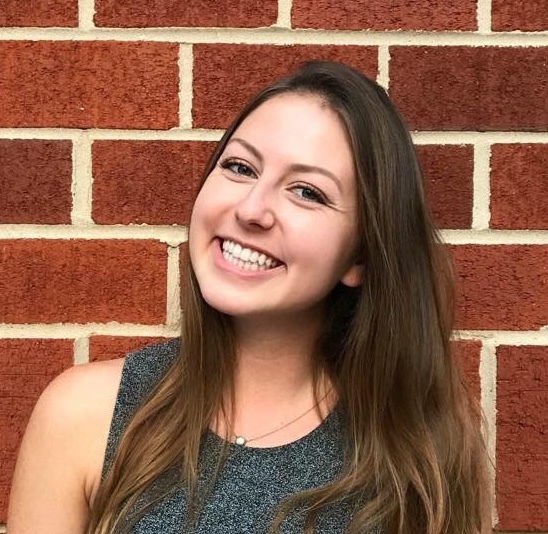 Molly grew up in the Philadelphia suburbs, but after graduating from Virginia Tech in 2011 she now calls Northern Virginia home. She works full time in corporate event planning, but has always been a health and fitness junky at heart. She grew up playing soccer, ran her first half marathon in 2014, and has tried every new workout she could get her hands on! Molly secretly dreamed of being a fitness instructor one day, but couldn’t find the workout she was passionate enough about to teach. Enter Xtend Barre! Molly was introduced to Xtend through a friend while she was training for her half marathon and was hooked after her very first class. The combination of dance, cardio, sculpting and strengthening sequences all packed into 55 minutes led to instant results and she knew she has finally found her addiction! 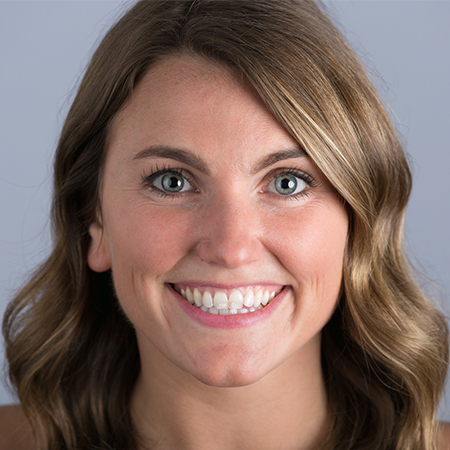 Molly started teaching in 2015 and her goal for each class is to inspire, energize and challenge clients while also reminding them not to take themselves too seriously and have fun while they’re at it! Olivia, born and raised just outside of Buffalo, took her first ballet class at the age of three, danced competitively across Western New York throughout high school. After college, Olivia’s professional career lead her to the Washington, D.C. area, where she first discovered Xtend Barre. 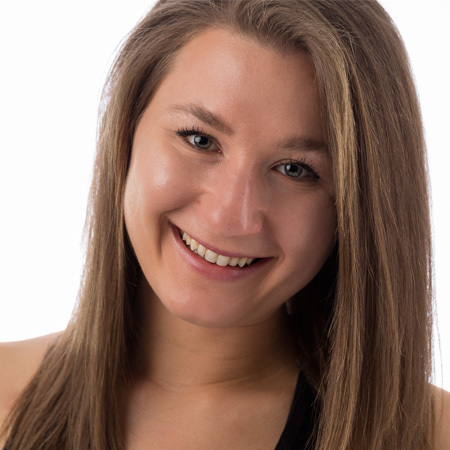 Olivia is thrilled to join the Xtend Barre Arlington team, and hopes to get clients out of their heads and into their challenge zones with every class! Sarah found Xtend shortly after moving to Arlington in search of a powerful workout and fitness community in a non-collegiate environment. With a strong dance background, Sarah instantly loved Xtend’s dance based focus on cardio, strength training and technique. She was consistently impressed by the caliber and demeanor of the instructors and inspired by the love and support of the studio as a whole. 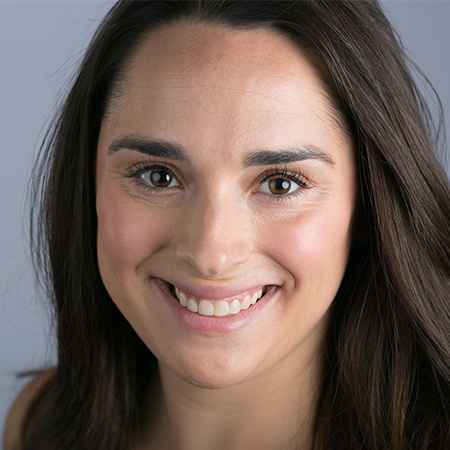 After consistently taking classes and ingraining herself in the Xtend Barre Arlington culture, she joined the team as an instructor to further challenge and inspire clients the way she had been as a student. Studying classical ballet and piano growing up, Stephanie always had wonderful muscle memories and melodies embedded in her throughout life. Xtend Barre was her first experience with group exercise class, and she was immediately taken back to the happiest place in her life. She loves Xtend Barre for the aspects of it being fun, fluid, and challenging, and her goal as an instructor is to create the opportunity for her clients to turn a workout routine into a passion that will last a lifetime! Tess holds a 200hr RYT certification from Yoga Alliance, and has been practicing yoga for six years. She has taught at Lifetime Athletic, and been a private yoga coach for a competitive boys basketball team. She loves providing a positive and encouraging atmosphere in class where you can have freedom to explore the movements in whatever way feels best. As a professional theatre performer in the DC area, Tess found yoga and meditation to be a great way to prepare herself both mentally and physically for performing. She can’t wait to see you on your mat–get ready to follow your breath, listen to your body, and challenge yourself!